Managers take note – communication and diplomacy are where your employees think you need the most improvement. 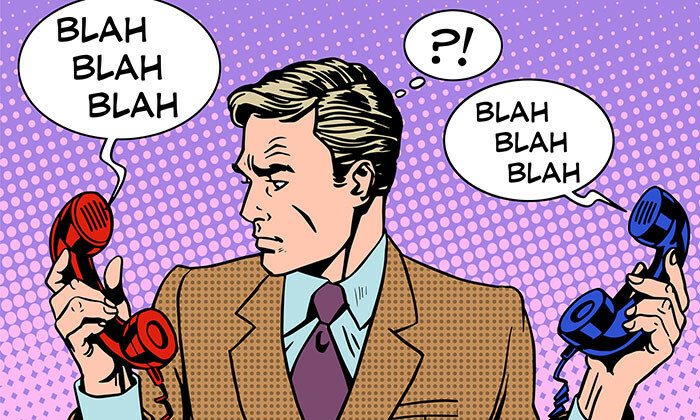 Strong communication skills are a necessity at every stage of one’s career, especially for those in leadership positions. 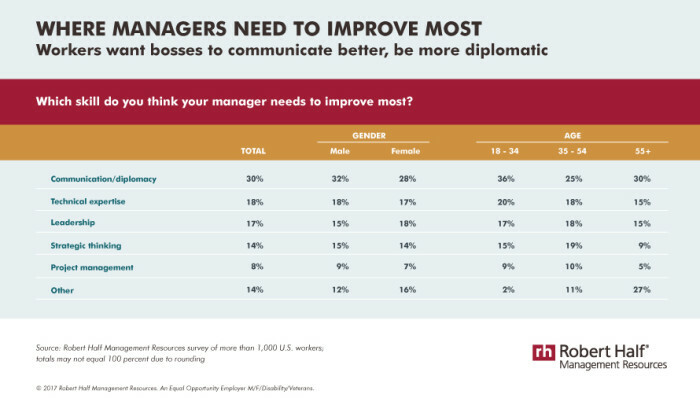 However, a Robert Half Management Resources study found that majority (30%) of staff thought their managers needed to improve in communication and diplomacy the most. Greater technical expertise (18%) and leadership (17%) ranked second and third, respectively, on professionals’ wish lists. “At the managerial and executive levels, possessing technical skills is frequently less important than being a good leader and communicator,” said Tim Hird, executive director of Robert Half Management Resources. Opinions from your manager, peers and employees are invaluable. Ask them about your strengths and weaknesses, their communication preferences, and how you can make it easier for them to come to you with questions or concerns. Not everyone will feel comfortable giving candid feedback, so consider gathering input anonymously. Think of a manager you admire who enjoys great rapport with his or her staff. What makes this person stand out? Observe how he or she interacts with others. If you struggle handling difficult conversations, ask a mentor or trusted colleague for pointers. If giving presentations is not your strong suit, take a public speaking class or join a group like Toastmasters. In conversations, focus on what others are saying instead of formulating your next thought. Pause an extra second before jumping in to make sure you don’t interrupt others. Don’t try so hard to be a manager that you stop being an individual. Be honest and relatable, and show vulnerability from time to time. To err is human – your team wants to know that you are not perfect and don’t expect them to be either.